For other uses, see Historian (disambiguation). 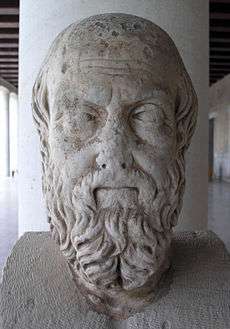 Herodotus was a Greek historian who lived in the 5th century BC and one of the earliest historians whose work survives. A historian is a person who researches, studies, and writes about the past, and is regarded as an authority on it. Historians are concerned with the continuous, methodical narrative and research of past events as relating to the human race; as well as the study of all history in time. If the individual is concerned with events preceding written history, the individual is a historian of prehistory. Although "historian" can be used to describe amateur and professional historians alike, it is reserved more recently for those who have acquired graduate degrees in the discipline. Some historians, though, are recognized by publications or training and experience. "Historian" became a professional occupation in the late nineteenth century as research universities were emerging in Germany and elsewhere. During the Irving v Penguin Books and Lipstadt trial it became evident that the court needed to identify what was an "objective historian" in the same vein as the reasonable person, and reminiscent of the standard traditionally used in English law of "the man on the Clapham omnibus". This was necessary so that there would be a legal bench mark with which to compare and contrast the scholarship of an objective historian against the methods employed by David Irving, as before the Irving v Penguin Books and Lipstadt trial there was no legal precedent for what constituted an objective historian. Mr Justice Gray leant heavily on the research of one of the expert witnesses, Richard J. Evans, who compared illegitimate distortion of the historical record practice by holocaust deniers with established historical methodologies. The historian must take the motives of historical actors into consideration. Schneider uses the concept of the "objective historian" to suggest that this could be used as an aid in assessing what makes a historian suitable to be an expert witnesses under the Daubert standard in the United States. Schneider proposed this, because, in her opinion, Irving could have passed the standard Daubert tests unless a court was given "a great deal of assistance from historians". Schneider proposes that by testing a historian against the criteria of the "objective historian" then, even if a historian holds specific political views (and she gives an example of a well-qualified historian's testimony that was disregarded by a United States court because he was a member of a feminist group), providing the historian uses the "objective historian" standards, he or she is a "conscientious historian". It was Irving's failure as an "objective historian" not his right wing views that caused him to lose his libel case, as a "conscientious historian" would not have "deliberately misrepresented and manipulated historical evidence" to support his political views. The process of historical analysis involves investigation and analysis of competing ideas, facts and purported facts to create coherent narratives that explain "what happened" and "why or how it happened". Modern historical analysis usually draws upon other social sciences, including economics, sociology, politics, psychology, anthropology, philosophy and linguistics. While ancient writers do not normally share modern historical practices, their work remains valuable for its insights within the cultural context of the times. An important part of the contribution of many modern historians is the verification or dismissal of earlier historical accounts through reviewing newly discovered sources and recent scholarship or through parallel disciplines like archaeology. Reproduction of part of a tenth-century copy of Thucydides's History of the Peloponnesian War. Understanding the past appears to be a universal human need, and the telling of history has emerged independently in civilizations around the world. What constitutes history is a philosophical question (see philosophy of history). The earliest chronologies date back to Mesopotamia and ancient Egypt, though no historical writers in these early civilizations were known by name. The systematic historical thought emerged in ancient Greece, a development which would be an important influence on the writing of history elsewhere around the Mediterranean region. The earliest known critical historical works were The Histories, composed by Herodotus of Halicarnassus (484 – c. 425 BCE) who later became known as the "father of history" (Cicero). Herodotus attempted to distinguish between more and less reliable accounts, and personally conducted research by travelling extensively, giving written accounts of various Mediterranean cultures. Although Herodotus' overall emphasis lay on the actions and characters of men, he also attributed an important role to divinity in the determination of historical events. Thucydides largely eliminated divine causality in his account of the war between Athens and Sparta, establishing a rationalistic element which set a precedent for subsequent Western historical writings. He was also the first to distinguish between cause and immediate origins of an event, while his successor Xenophon (c. 431 – 355 BCE) introduced autobiographical elements and character studies in his Anabasis. Leonardo Bruni (c.1370–1444), the historian who first divided history into the three eras of Antiquity, the Middle Ages, and Modern times. The Romans adopted the Greek tradition. 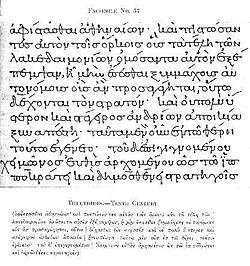 While early Roman works were still written in Greek, the Origines, composed by the Roman statesman Cato the Elder (234–149 BCE), was written in Latin, in a conscious effort to counteract Greek cultural influence. Strabo (63 BCE – c. 24 CE) was an important exponent of the Greco-Roman tradition of combining geography with history, presenting a descriptive history of peoples and places known to his era. Livy (59 BCE – 17 CE) records the rise of Rome from city-state to empire. His speculation about what would have happened if Alexander the Great had marched against Rome represents the first known instance of alternate history. In Chinese historiography, the Classic of History is one of the Five Classics of Chinese classic texts and one of the earliest narratives of China. The Spring and Autumn Annals, the official chronicle of the State of Lu covering the period from 722 to 481 BCE, is among the earliest surviving Chinese historical texts to be arranged on annalistic principles. Sima Qian (around 100 BCE) was the first in China to lay the groundwork for professional historical writing. His written work was the Shiji (Records of the Grand Historian), a monumental lifelong achievement in literature. Its scope extends as far back as the 16th century BCE, and it includes many treatises on specific subjects and individual biographies of prominent people, and also explores the lives and deeds of commoners, both contemporary and those of previous eras. Christian historiography began early, perhaps as early as Luke-Acts, which is the primary source for the Apostolic Age. Writing history was popular among Christian monks and clergy in the Middle Ages. They wrote about the history of Jesus Christ, that of the Church and that of their patrons, the dynastic history of the local rulers. In the Early Middle Ages historical writing often took the form of annals or chronicles recording events year by year, but this style tended to hamper the analysis of events and causes. 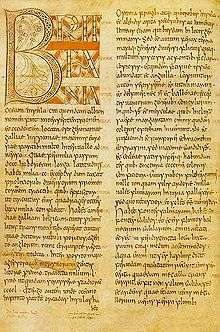 An example of this type of writing is the Anglo-Saxon Chronicles, which were the work of several different writers: it was started during the reign of Alfred the Great in the late 9th century, but one copy was still being updated in 1154. Muslim historical writings first began to develop in the 7th century, with the reconstruction of the Prophet Muhammad's life in the centuries following his death. With numerous conflicting narratives regarding Muhammad and his companions from various sources, it was necessary to verify which sources were more reliable. In order to evaluate these sources, various methodologies were developed, such as the "science of biography", "science of hadith" and "Isnad" (chain of transmission). These methodologies were later applied to other historical figures in the Islamic civilization. Famous historians in this tradition include Urwah (d. 712), Wahb ibn Munabbih (d. 728), Ibn Ishaq (d. 761), al-Waqidi (745–822), Ibn Hisham (d. 834), Muhammad al-Bukhari (810–870) and Ibn Hajar (1372–1449). During the Age of Enlightenment, the modern development of historiography through the application of scrupulous methods began. Voltaire's works of history are an excellent example of Enlightenment era history writing. Painting by Pierre Charles Baquoy. French philosophe Voltaire (1694–1778) had an enormous influence on the art of history writing. His best-known histories are The Age of Louis XIV (1751), and Essay on the Customs and the Spirit of the Nations (1756). "My chief object," he wrote in 1739, "is not political or military history, it is the history of the arts, of commerce, of civilization – in a word, – of the human mind." He broke from the tradition of narrating diplomatic and military events, and emphasized customs, social history and achievements in the arts and sciences. He was the first scholar to make a serious attempt to write the history of the world, eliminating theological frameworks, and emphasizing economics, culture and political history. 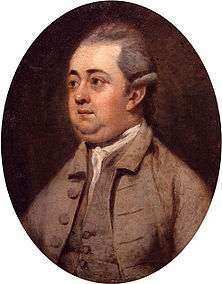 Edward Gibbon's Decline of the Roman Empire (1776) was a masterpiece of late 18th-century history writing. At the same time, philosopher David Hume was having a similar impact on history in Great Britain. In 1754 he published the History of England, a 6-volume work which extended "From the Invasion of Julius Caesar to the Revolution in 1688". Hume adopted a similar scope to Voltaire in his history; as well as the history of Kings, Parliaments, and armies, he examined the history of culture, including literature and science, as well. William Robertson, a Scottish historian, and the Historiographer Royal published the History of Scotland 1542 - 1603, in 1759 and his most famous work, The history of the reign of Charles V in 1769. His scholarship was painstaking for the time and he was able to access a large number of documentary sources that had previously been unstudied. He was also one of the first historians who understood the importance of general and universally applicable ideas in the shaping of historical events. The apex of Enlightenment history was reached with Edward Gibbon's, monumental six-volume work, The History of the Decline and Fall of the Roman Empire, published on 17 February 1776. Because of its relative objectivity and heavy use of primary sources, at the time its methodology became a model for later historians. This has led to Gibbon being called the first "modern historian". The book sold impressively, earning its author a total of about £9000. Biographer Leslie Stephen wrote that thereafter, "His fame was as rapid as it has been lasting." The tumultuous events surrounding the French Revolution inspired much of the historiography and analysis of the early 19th century. Interest in the 1688 Glorious Revolution was also rekindled by the Great Reform Act of 1832 in England. Thomas Carlyle published his magnum opus, the three-volume The French Revolution: A History in 1837. The resulting work had a passion new to historical writing. The work charts the course of the French Revolution from 1789 to the height of the Reign of Terror (1793–94) and culminates in 1795. A massive undertaking which draws together a wide variety of sources, Carlyle's history—despite the unusual style in which it is written—is considered to be an authoritative account of the early course of the Revolution. Thomas Macaulay produced his most famous work of history, The History of England from the Accession of James the Second, in 1848. His writings are famous for their ringing prose and for their confident, sometimes dogmatic, emphasis on a progressive model of British history, according to which the country threw off superstition, autocracy and confusion to create a balanced constitution and a forward-looking culture combined with freedom of belief and expression. This model of human progress has been called the Whig interpretation of history. Jules Michelet, later in his career. In his main work Histoire de France, French historian Jules Michelet coined the term Renaissance (meaning "Re-birth" in French language), as a period in Europe's cultural history that represented a break from the Middle Ages, creating a modern understanding of humanity and its place in the world. The nineteen volume work covered French history from Charlemagne to the outbreak of the Revolution. Michelet was one of the first historians to shift the emphasis of history to the common people, rather than the leaders and institutions of the country. Another important French historian of the period was Hippolyte Taine. He was the chief theoretical influence of French naturalism, a major proponent of sociological positivism and one of the first practitioners of historicist criticism. Literary historicism as a critical movement has been said to originate with him. One of the major progenitors of the history of culture and art, was the Swiss historian Jacob Burckhardt Burckhardt's best-known work is The Civilization of the Renaissance in Italy (1860). According to John Lukacs, he was the first master of cultural history, which seeks to describe the spirit and the forms of expression of a particular age, a particular people, or a particular place. By the mid-19th century, scholars were beginning to analyse the history of institutional change, particularly the development of constitutional government. William Stubbs's Constitutional History of England (3 vols., 1874–78) was an important influence on this developing field. The work traced the development of the English constitution from the Teutonic invasions of Britain until 1485, and marked a distinct step in the advance of English historical learning. Karl Marx introduced the concept of historical materialism into the study of world historical development. In his conception, the economic conditions and dominant modes of production determined the structure of society at that point. Previous historians had focused on cyclical events of the rise and decline of rulers and nations. Process of nationalization of history, as part of national revivals in the 19th century, resulted with separation of "one's own" history from common universal history by such way of perceiving, understanding and treating the past that constructed history as history of a nation. A new discipline, sociology, emerged in the late 19th century and analyzed and compared these perspectives on a larger scale. Ranke established history as a professional academic discipline in Germany. The modern academic study of history and methods of historiography were pioneered in 19th-century German universities, especially the University of Göttingen. Leopold von Ranke was a pivotal influence in this regard, and is considered as the founder of modern source-based history. Specifically, he implemented the seminar teaching method in his classroom, and focused on archival research and analysis of historical documents. Beginning with his first book in 1824, the History of the Latin and Teutonic Peoples from 1494 to 1514, Ranke used an unusually wide variety of sources for a historian of the age, including "memoirs, diaries, personal and formal missives, government documents, diplomatic dispatches and first-hand accounts of eye-witnesses". Over a career that spanned much of the century, Ranke set the standards for much of later historical writing, introducing such ideas as reliance on primary sources (empiricism), an emphasis on narrative history and especially international politics (aussenpolitik). Sources had to be hard, not speculations and rationalizations. His credo was to write history the way it was. He insisted on primary sources with proven authenticity. The term Whig history was coined by Herbert Butterfield in his short book The Whig Interpretation of History in 1931, (a reference to the British Whigs, advocates of the power of Parliament) to refer to the approach to historiography which presents the past as an inevitable progression towards ever greater liberty and enlightenment, culminating in modern forms of liberal democracy and constitutional monarchy. In general, Whig historians emphasized the rise of constitutional government, personal freedoms and scientific progress. The term has been also applied widely in historical disciplines outside of British history (the history of science, for example) to criticize any teleological (or goal-directed), hero-based, and transhistorical narrative. Butterfield's antidote to Whig history was "to evoke a certain sensibility towards the past, the sensibility which studies the past 'for the sake of the past', which delights in the concrete and the complex, which 'goes out to meet the past', which searches for 'unlikenesses between past and present'". Butterfield's formulation received much attention, and the kind of historical writing he argued against in generalised terms is no longer academically respectable. The 20th century saw the creation of a huge variety of historiographical approaches. 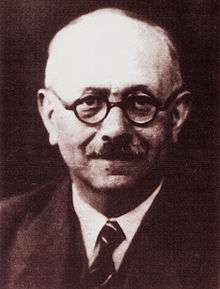 Marc Bloch's focus on social history rather than traditional political history was of tremendous influence. relegated the sensational to the sidelines and was reluctant to give a simple accounting of events, but strived on the contrary to pose and solve problems and, neglecting surface disturbances, to observe the long and medium-term evolution of economy, society and civilisation. Marxist historiography developed as a school of historiography influenced by the chief tenets of Marxism, including the centrality of social class and economic constraints in determining historical outcomes. Friedrich Engels wrote The Condition of the Working Class in England in 1844, which was salient in creating the socialist impetus in British politics from then on, e.g. the Fabian Society. R. H. Tawney's The Agrarian Problem in the Sixteenth Century (1912) and Religion and the Rise of Capitalism (1926), reflected his ethical concerns and preoccupations in economic history. A circle of historians inside the Communist Party of Great Britain (CPGB) formed in 1946 and became a highly influential cluster of British Marxist historians, who contributed to history from below and class structure in early capitalist society. Members included Christopher Hill, Eric Hobsbawm and E. P. Thompson. World history, as a distinct field of historical study, emerged as an independent academic field in the 1980s. It focused on the examination of history from a global perspective and looked for common patterns that emerged across all cultures. Arnold J. Toynbee's ten-volume A Study of History, written between 1933 and 1954, was an important influence on this developing field. He took a comparative topical approach to independent civilizations and demonstrated that they displayed striking parallels in their origin, growth, and decay. William H. McNeill wrote The Rise of the West (1965) to improve upon Toynbee by showing how the separate civilizations of Eurasia interacted from the very beginning of their history, borrowing critical skills from one another, and thus precipitating still further change as adjustment between traditional old and borrowed new knowledge and practice became necessary. Peter R.L Brown, a professional historian of Late Antiquity and the Medieval period. An undergraduate history degree is often used as a stepping stone to graduate studies in business or law. Many historians are employed at universities and other facilities for post-secondary education. In addition, it is normal for colleges and universities to require the PhD degree for new full-time hires, and a master's degree for part-timers. Publication is increasingly required by smaller schools, so graduate papers become journal articles and PhD dissertations become published monographs. The graduate student experience is difficult—those who finish their doctorate in the United States take on average 8 or more years; funding is scarce except at a few very rich universities. Being a teaching assistant in a course is required in some programs; in others it is a paid opportunity awarded a fraction of the students. Until the 1980s it was rare for graduate programs to teach how to teach; the assumption was that teaching was easy and that learning how to do research was the main mission. Professional historians typically work in colleges and universities, archival centers, government agencies, museums, and as freelance writers and consultants. The job market for new PhDs in history is poor and getting worse, with many relegated to part-time "adjunct" teaching jobs with low pay and no benefits. Wikimedia Commons has media related to Historians. ↑ "Historian". Wordnetweb.princeton.edu. Retrieved June 27, 2008. ↑ Herman, A. M. (1998). Occupational outlook handbook: 1998-99 edition. Indianapolis: JIST Works. Page 525. 1 2 Schneider 2001, p. 1531. ↑ Schneider 2001, p. 1534. ↑ Schneider 2001, pp. 1534, 1535. ↑ Schneider 2001, pp. 1534, 1538. ↑ Schneider 2001, p. 1539. ↑ "Livy's History of Rome: Book 9". Mcadams.posc.mu.edu. Retrieved 2010-08-28. ↑ Jörn Rüsen (2007). Time and History: The Variety of Cultures. Berghahn Books. pp. 54–55. ISBN 978-1-84545-349-7. ↑ Warren, John (1998). The past and its presenters: an introduction to issues in historiography, Hodder & Stoughton, ISBN 0-340-67934-4, pp. 78–79. ↑ E. Sreedharan (2004). A Textbook of Historiography: 500 BC to AD 2000. Orient Blackswan. p. 115. ↑ Wertz, S. K. (1993). "Hume and the Historiography of Science". Journal of the History of Ideas. 54 (3): 411–436. doi:10.2307/2710021. JSTOR 2710021. ↑ Sher, R. B., Church and Society in the Scottish Enlightenment: The Moderate Literati of Edinburgh, Princeton, 1985. ↑ "William Robertson: An 18th Century Anthropologist-Historian" (PDF). Retrieved 2012-12-17. ↑ Deborah Parsons (2007). Theorists of the Modernist Novel: James Joyce, Dorothy Richardson and Virginia Woolf. Routledge. p. 94. ↑ Lundin, Leigh (2009-09-20). "Thomas Carlyle". Professional Works. Criminal Brief. Retrieved 2009-09-20. ↑ Macaulay, Thomas Babington, History of England. Philadelphia, Pennsylvania: J. B. Lippincott & Co., 1878. Vol. V, title page and prefatory "Memoir of Lord Macaulay". ↑ J. R. Western, Monarchy and Revolution. The English State in the 1680s (London: Blandford Press, 1972), p. 403. ↑ Brotton, Jerry (2002). The Renaissance Bazaar. Oxford University Press. pp. 21–22. ↑ Kelly, R. Gordon, "Literature and the Historian", American Quarterly, Vol. 26, No. 2 (1974), 143. ↑ John Lukacs, Remembered Past: John Lukacs on History, Historians, and Historical Knowledge, ed. Mark G Malvasi and Jeffrey O. Nelson, Wilmington, DE: ISI Books, 2004, 215. ↑ Georgiy Kasianov, Philipp Terr (2010-04-07). A Laboratory of Transnational History Ukraine and recent Ukrainian historiography. p. 7. ISBN 978-1-84545-621-4. Retrieved October 18, 2010. This essay deals with, what I call, "nationalized history", meaning a way of perceiving, understanding and treating the past that requires separation of "one's own" history from "common" history and its construction as history of a nation. ↑ Stern (ed. ), The Varieties of History, p. 54: "Leopold von Ranke (1795–1886) is the father as well as the master of modern historical scholarship." ↑ Green and Troup (eds. ), The Houses of History, p. 2: "Leopold von Ranke was instrumental in establishing professional standards for historical training at the University of Berlin between 1824 and 1871." ↑ Adrian Wilson and T. G. Ashplant, "Whig History and Present-Centred History," The Historical Journal, 31 (1988): 1–16, at p. 10. ↑ G. M. Trevelyan (1992), p. 208. ↑ Lucien Febvre, La Terre et l'évolution humaine (1922), translated as A Geographical Introduction to History (London, 1932). ↑ McNeill, William H. (1995). "The Changing Shape of World History". History and Theory. 34 (2): 8–26. doi:10.2307/2505432. ↑ Bls.gov : Social Scientists, Other Archived August 30, 2009, at the Wayback Machine. Schneider, Wendie Ellen (June 2001). "Past Imperfect: Irving v. Penguin Books Ltd., No. 1996-I-1113, 2000 WL 362478 (Q. B. Apr. 11), appeal denied (Dec. 18, 2000)" (PDF). The Yale Law Journal. Published by: The Yale Law Journal Company. 110 (8): 1531–1545. doi:10.2307/797584. Vidor, Gian Marco (2015). "Emotions and writing the history of death. An interview with Michel Vovelle, Régis Bertrand and Anne Carol". Mortality. Routledge. 20 (1). doi:10.1080/13576275.2014.984485. Cannon, John, et al., eds. The Blackwell Dictionary of Historians. Blackwell Publishers, 1988 ISBN 0-631-14708-X. Kramer, Lloyd, and Sarah Maza, eds. A Companion to Western Historical Thought Blackwell 2006. 520pp; ISBN 978-1-4051-4961-7. Todd, Richard B. ed. Dictionary of British Classicists, 1500–1960, (2004). Bristol: Thoemmes Continuum, 2004 ISBN 1-85506-997-0. Look up historian in Wiktionary, the free dictionary.